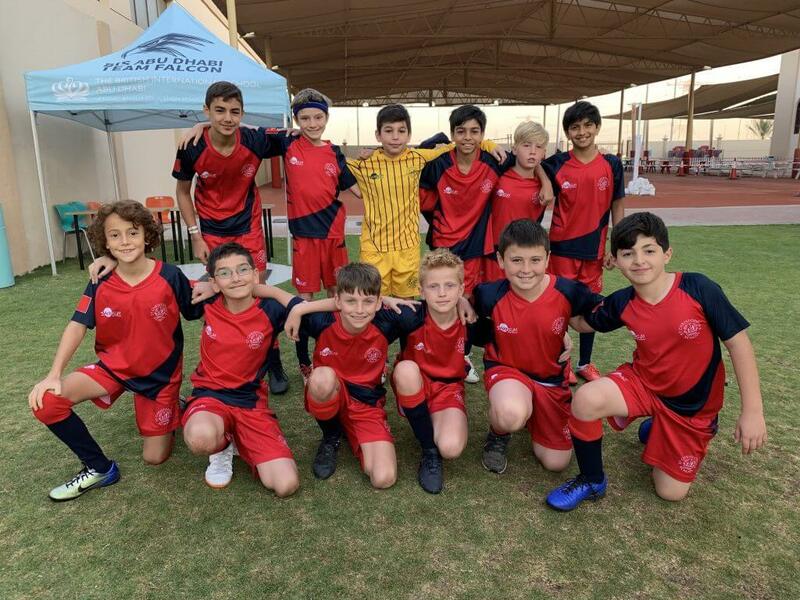 St. Christopher’s U11s BSME team, very kindly sponsored by ACE Insurance Brokers, made the journey to Abu Dhabi and the British International School of Abu Dhabi for the second time in three years to participate in the 2019 U11s BSME Games. The first event of the weekend for the boys was basketball. St. Chris were the winners of this event on our previous visit to BISAD so our players had a lot to live up to, and they certainly went about it with style. A nervy win in the first game set them up for some excellent free-scoring basketball and seven wins from seven in their group matches as Wenbo Lu, Krzys Thompson and Faris Saleh called the shots, more than ably supported by the rest of the squad. The semi-final went the same way and the event concluded with the team’s ninth win in their ninth game in the final. First place! Yazan Al-Mahoozi, Noah Dales, Will Fisher, William Hamad, Zeid Hamdan, Fuad Kanoo, Amir Kawa, Wenbo Lu, Faris Saleh, Krzys Thompson. The girls’ first event was football and again, there was a precedent to match as the St. Chris girls were the current champions thanks to last year’s exploits. This year’s team quickly picked up from their predecessors and extended an unbeaten run that had begun two years ago, with Lotta Tautenhahn an absolute rock at the back and Pie Watley covering every blade of grass in midfield. 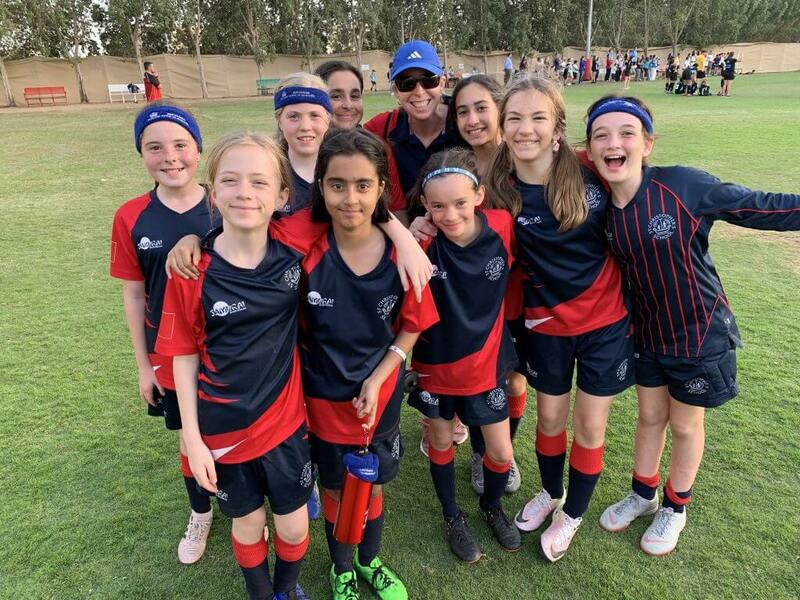 A shock defeat 1-0 defeat in one group game only spurred the girls on to greater heights with Hanna Hevesy registering yet another school hat-trick, Sariya AlHamar a regular on the scoresheet and Erin Jardine even scoring direct from a corner. A comprehensive semi-final victory put the team into a second consecutive final for both St. Chris on the day and the girls football team in the event. It was a tougher test in the final but thanks to an unerring finish from Sariya, a successful one. First place! Soraya Abughazaleh, Sariya AlHamar, Dara Clifton, Hanna Hevesy, Erin Jardine, Meher Malhotra, Rachael Stewart, Lotta Tautenhahn, Pietta Watley. The next day’s events began with a very early morning call for the swimmers and if there had been worms in the pool, these early birders would definitely have caught them. The nine-strong team worked so well individually and together that it would impossible to single any of them out. 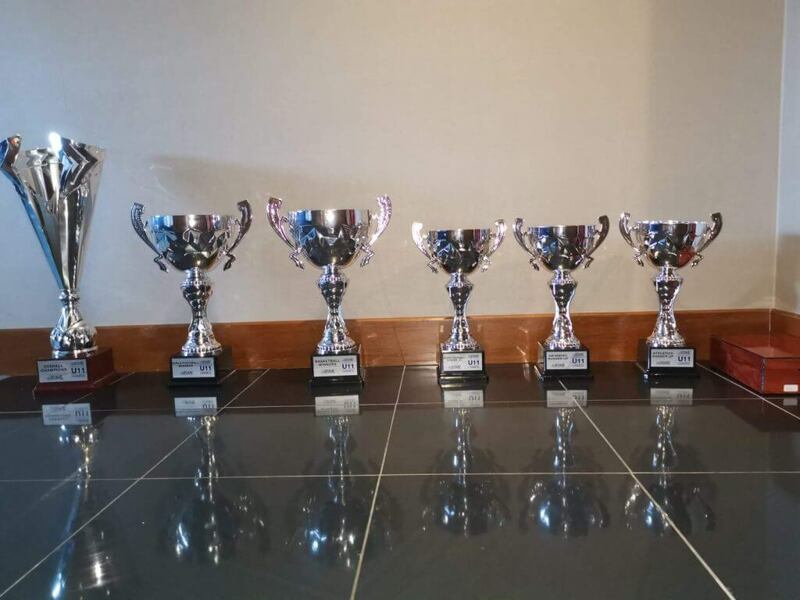 The result of their cumulative efforts was a large selection of medals from the variety of races. It turned out that the points they earned for each finish was greater than we could have hoped for. Second place! Noorie Akhtar, Sophie Buckman, Louis Cornee, Matteo Ghorayeb, Wenbo Lu, Jenna Malhas, Amara Nagy, Faris Saleh, Jennifer Sirley. Friday continued it’s more individual theme with the athletics event. The athletes this year have been the most focused for some time and all those extra break time and after school practices paid off. Sami Ghozlani and Amara Nagy became the best 600m runners in the GCC, and Noorie Akhtar is now the shot put champion of BSME. There were several silver medals awarded to St. Chris athletes, including three that went to Charlie Ferguson, and a few bronze medals to complete the collection. Every competitor earned valuable points towards the overall tally. Second place! 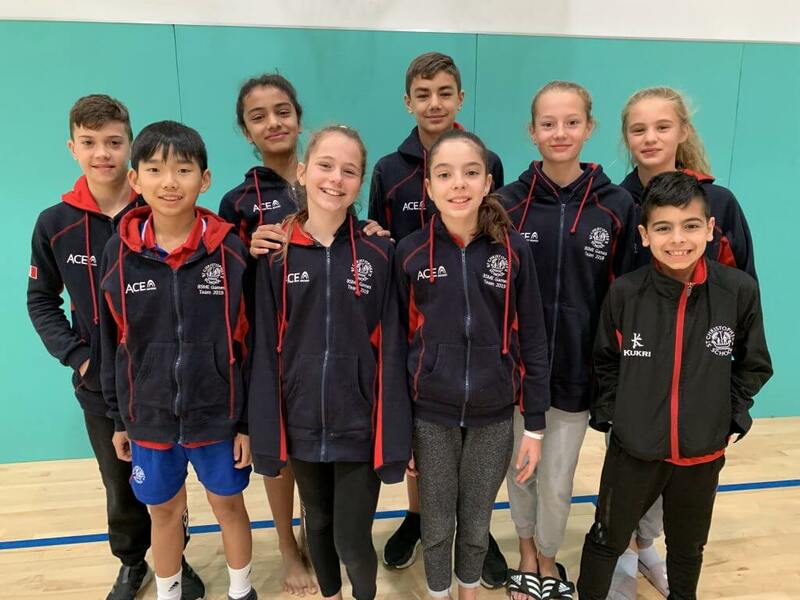 Noorie Akhtar, Sariya AlHamar, Sophie Buckman, Louis Cornee, Noah Dales, Charlie Ferguson, Will Fisher, Matteo Ghorayeb, Sami Ghozlani, Shahmeer Hakeem, Hanna Hevesy, Bobby Looby, Wenbo Lu, Jenna Malhas, Amara Nagy, Faris Saleh, Lotta Tautenhahn, Robin Verdeyen, Pietta Watley. The final day of events brought Boys Football, an area where St. Chris have been the England of the competition – promising much but lacking a bit in delivery. New tactics and a new formation brought the best out of the team. Zeid Hamdan was outstanding in goal as recognised by parents of DESS who commented on a particularly outstanding save. Noah Dales and William “Billy” Hamad formed a solid and uncompromising defensive partnership. Fuad Kanoo played the most intelligent position in the tournament that allowed Shahmeer Hakeem to run the show and play in Faris Saleh and Will Fisher for some excellent finishes. Undefeated and top in their group, the team took their great form through the semi-final and into the last game of the BSME Games weekend. Unfortunately, the gold medal turned out to be just a goal away. Second place! 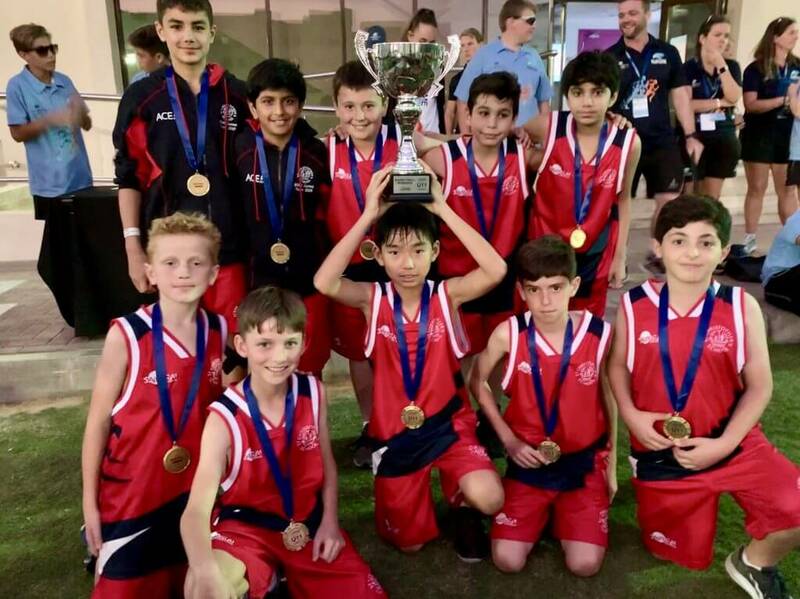 Noah Dales, Elias Faraj, Will Fisher, Sami Ghozlani, Shahmeer Hakeem, Billy Hamad, Zeid Hamdan, Fuad Kanoo, Bobby Looby, Faris Saleh, Krzys Thompson, Robin Verdeyen. 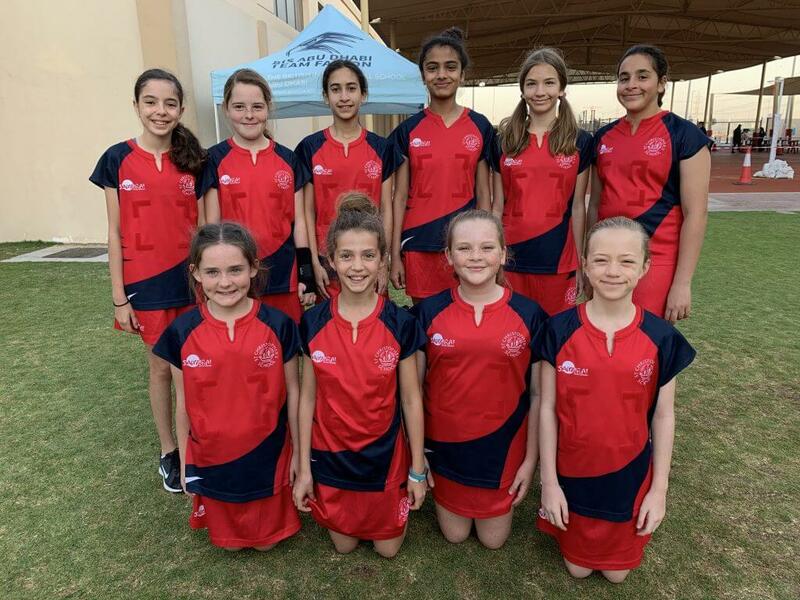 The netball team has made giant strides throughout the year and they rose to the occasion for the girls’ final event of BSME. Beginning their first group match with a win, the girls quickly added a further four victories to establish a 100% win record. Esther Duell was everywhere to win the ball and initiate the attacks that were superbly finished by Jessica McCarthy and Amelia Rodgers. Really impressive were Noorie Akhtar, Sariya AlHamar and Lotta Tautenhahn who proved to be a formidable defensive shield. Unfortunately in the end, a solitary goal for a 1-0 defeat in their penultimate group match was the difference between a second place semi-final and a third place group finish. Sixth place! Soraya Abughazaleh, Noorie Akhtar, Sariya AlHamar, Esther Duell, Erin Jardine, Jessica McCarthy, Amara Nagy, Amelia Rodgers, Rachael Stewart, Lotta Tautenhahn. Each of our thirty-five sportspeople went into the gala dinner quite rightly feeling proud of their achievements to that point. It had been an incredibly long and draining weekend, both physically and mentally, and the St. Chris team had coped admirably. Not only had each player stepped up to the challenge of their own events, but they had been incredibly positive and supportive of their teammates when they themselves weren’t involved. The cherry on the cake – 1st place overall! 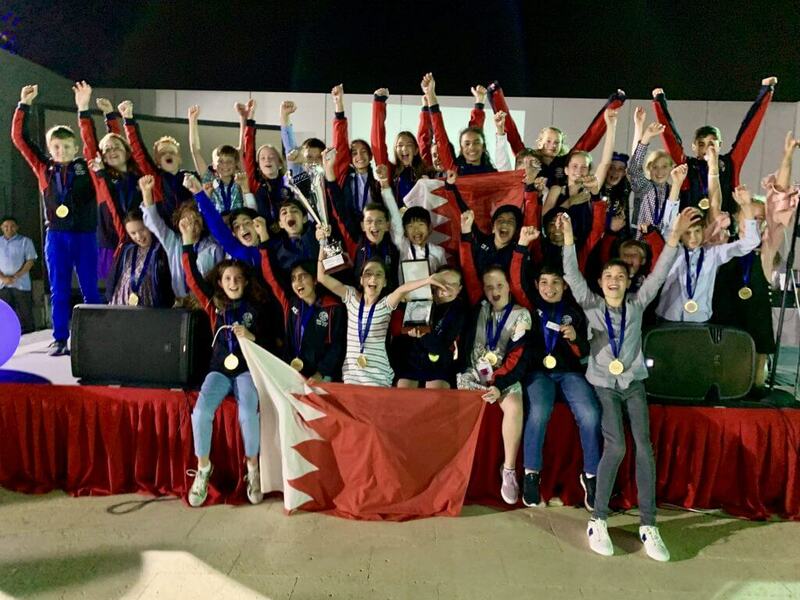 As the St. Chris team made its way down to the stage to receive the BSME Games Overall Winners trophy, it was a fitting testament to these children that several other schools took up the S-T-C chant in recognition not only of their achievement, but the positive and determined way they went about it. 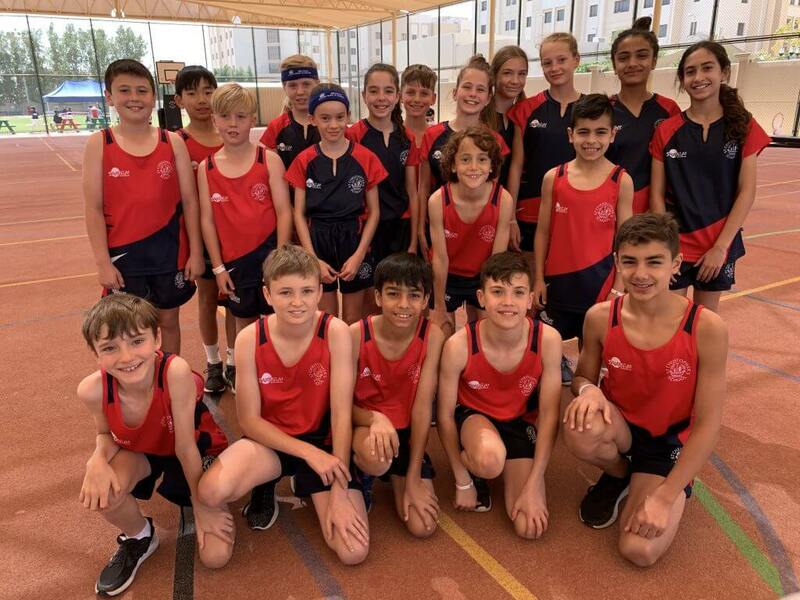 Congratulations to all involved, including the staff team of Mr. Holness, Mr. Armstrong, Mr. Dales, Ms. Lambert, Mrs. Lodwig and Yavor – 2019 U11s BSME Games Champions!